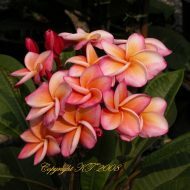 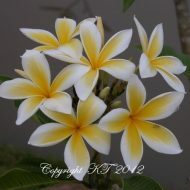 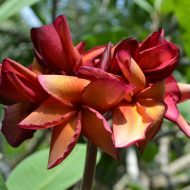 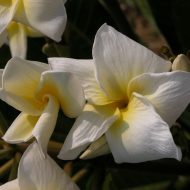 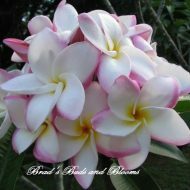 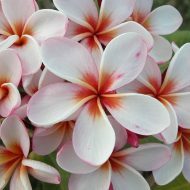 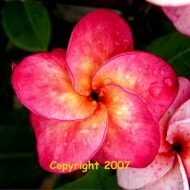 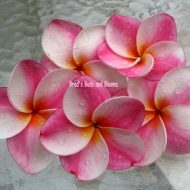 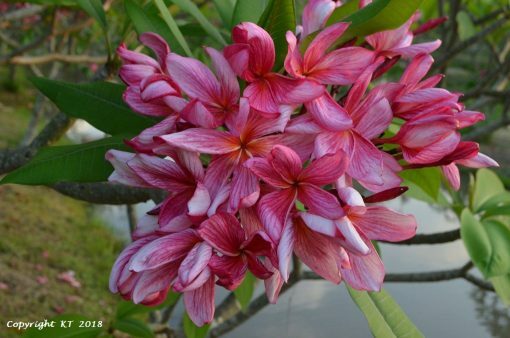 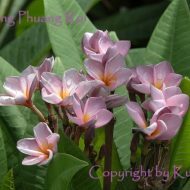 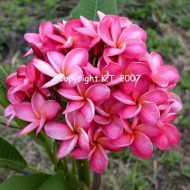 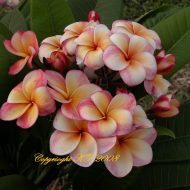 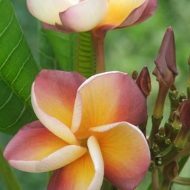 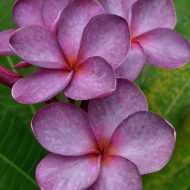 This gorgeous plumeria from Kukiat in Thailand produces huge 5″ blooms with a most striking pattern of veins. 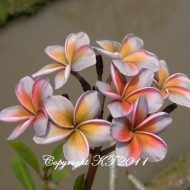 The effect is an eye-catching pattern of stripes in each petal. 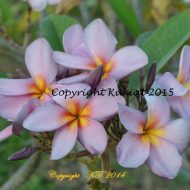 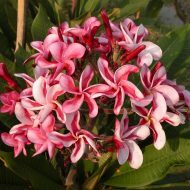 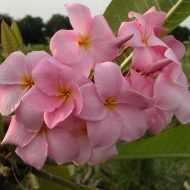 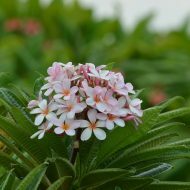 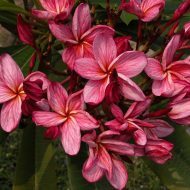 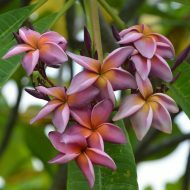 Flowers appear in large clusters and have a lovely, sweet fragrance. 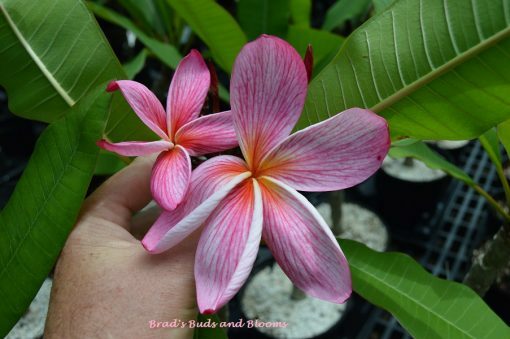 ROOTED PLANTS 13″-16″ from the soil line. 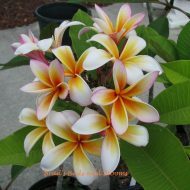 Photos in this listing are of a mature plant’s flowers, and, one recently taken in our nursery of a young plant blooming for the first time. 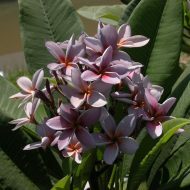 We were impressed of the size of the blooms on that young’un!